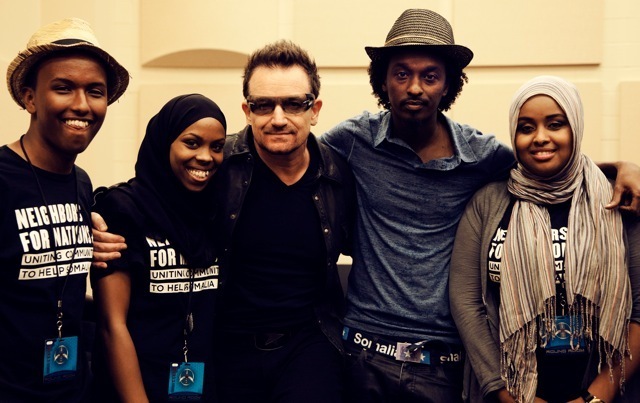 Ahead of Saturday night's show in Minneapolis, Bono met with representatives of the local Somali community to talk about efforts to combat famine in East Africa. 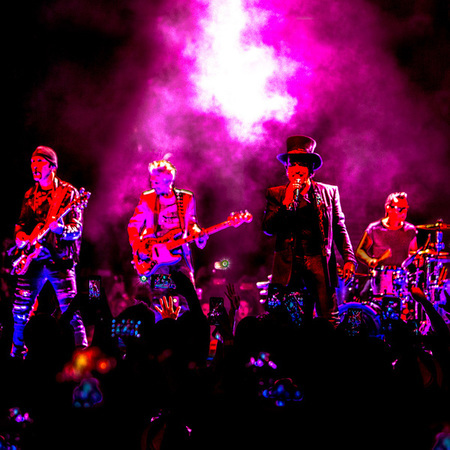 The Twin Cities hosts the biggest Somali population outside Somalia and those at the meeting included leaders of the American Refugees Committee and Neighbors for Nations as well as Somali rapper K'naan. They discussed the famine emergency across East Africa - where the UN estimate up to 12million people need aid - and how to get that aid to the right places. To find out more about the situation in the Horn of Africa, go to one.org and to support the emergency appeals visit Oxfam, Concern, Save The Children or other agencies working in the region.